Are you a real estate professional who is struggling with some of your content marketing efforts? If so, our real estate content writing service is exactly what you need. The skills that can make you shine while working in face-to-face contact with buyers and sellers are not the same skills you use to create high-quality written content that engages potential customers. You can continue to struggle with creating your own content, or you can hire a professional writer to tackle your content, and free up time to devote to the parts of real estate that you love. At Writers Needed, our professional writers come from a variety of backgrounds. Many of them have backgrounds in real estate and focus specifically on creating real estate content for our clients. Whether you need help with an MLS listing or want to create an information brochure for an upcoming investment real estate seminar, we have a writer that can meet your needs and provide you with the content you need. What Is Real Estate Content? Real estate content is any type of written material that deals specifically with real estate matters. Real estate content includes things like MLS descriptions and home advertisements on a variety of different platforms. These sales descriptions can actually be for homes that are being sold, but can also be for homes marketed as long-term or short-term rentals. However, real estate content goes far beyond property descriptions. Real estate content can discuss various topics, including: financial issues like mortgages, refinancing, home equity loans, and reverse mortgages; using real estate for investment opportunities; tips to make your home more marketable; home maintenance tips; and home renovation tips. Why Use Real Estate Content Writing? Real estate professionals use real estate content marketing for a variety of different reasons. The most common reason is to market a specific piece of property that is for sale or for rent. However, content marketing also helps establish a relationship with people who are potential customers. For real estate professionals, the group of potential customers is broader than it is for many other fields; almost every person engages in at least one real estate transaction during a lifetime. Therefore, establishing relationship so that potential customers turn into customers when they are ready to buy, sell, or lease is a critical part of building a business. Real estate content marketing is one way that realtors help lay the groundwork for future professional relationships. What Is the Real Estate Content Process? The process depends on the type of content that you want. Are you working on a DIY home maintenance blog for your website? If so, then we work with you to develop topics for the blog and deliver them to you in time for you to post them according to your desired schedule. These projects can be ongoing, because you want each blog post to reflect up-to-date information and any trends or industry changes that occur. If you need a professionally-written description of a piece of real estate for your advertising materials, then you work with us in your pre-listing process. We get a basic description of the parcel, including pictures when possible, so that we can thoroughly describe it for potential customers. Is SEO Important in Real Estate Content? Yes and no. If you are creating a listing for MLS, then you will be able to check the boxes for specific features for the home. If you miss “fireplace” in your copy, you will still be able to let potential customers know that the home has a fireplace. Therefore, SEO is not as important in that context. However, if you are creating a blog material or a listing for your own website, you want to include any information that potential customers may want to find. While SEO algorithms can be somewhat complex, at its heart, SEO is just about making it easier for customers to find what they are seeking. 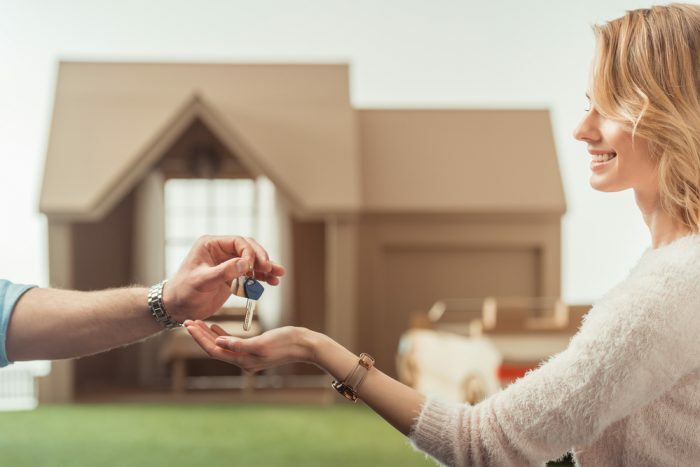 Real estate content is a great way to help you establish a base of potential customers, whether that means describing a property currently in your inventory or simply establishing good relationships. At Writers Needed, our real estate writers can help you with all of your content needs. Our affordable pricing means that you can hire us to handle the writing, so you can focus on the parts of real estate you love!